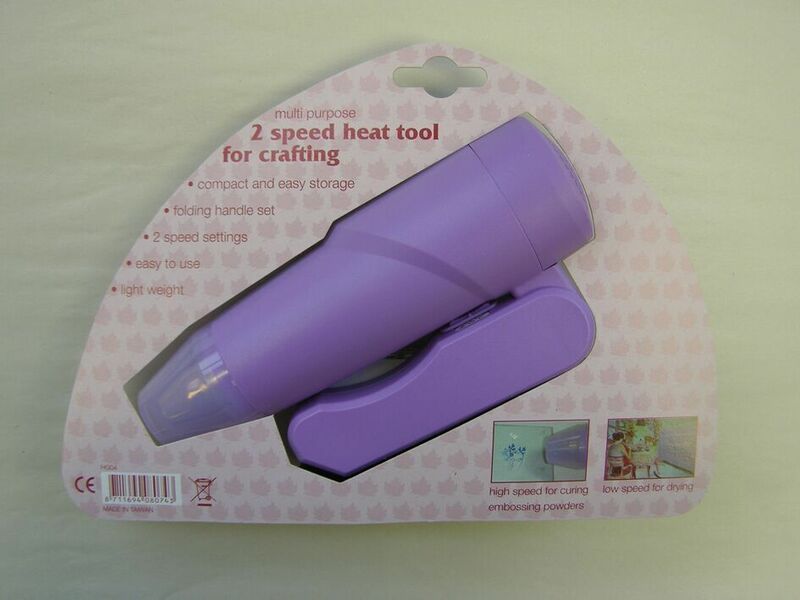 This amazing heat tool by Woodware is a twin speed, multi-purpose heat gun, ergonomically designed for precise heat application. It also folds so it is easy to store and takes up less space in your craft room.. amazing! It is ideal for use with embossing powders or for drying paints, and has 2 speed settings and a safety shield. Use the slower speed for glittery embossing powders and the regular speed for all the others,.. brilliant!